Live now in Pokemon Go as of this weekend is a pretty nutty challenge for players all over the globe, daring players to get out there and catch ’em all. In fact, the more you help the community, the more the community will be rewarded, with everything from a double-experience boost to special ‘mon unlocks depending on where you live. The whole shebang has a travel theme just in time for the Thanksgiving holiday weekend here in the US, although you have only the 26th to hit three billion, so, you know, get playing! Can it be done? Probably. 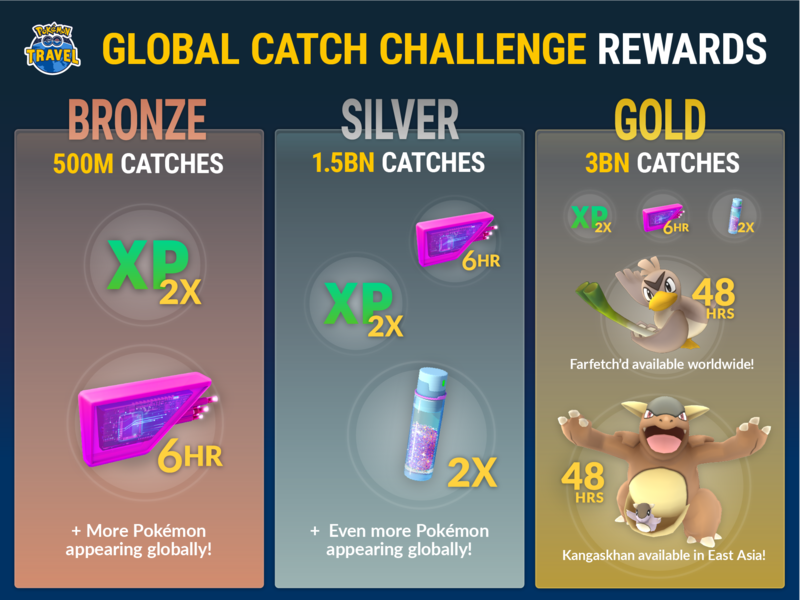 Niantic hasn’t provided a countdown timer or anything resembling a progress bar, but the fans at The Silph Road put together a gorgeous infographic that better explains the event goals, and Pokemon Go Hub has a detailed breakdown of the math. Source: Official site, Reddit. Cheers, Schlag! Previous articleMMO Mechanics: What can be learned from Guild Wars 2 Mountgate?